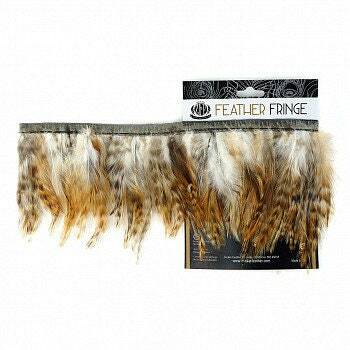 These feathers have been sewn onto a black polyester- blend bias tape with approximately 22-24 feathers per inch. 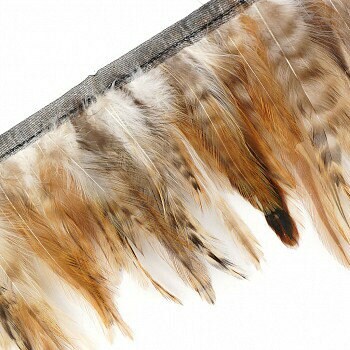 This handmade Feather Fringe is made from Natural Red Chinchilla Hackle feathers approximately 4-5 inches long and comes on a 1 yard bolt. 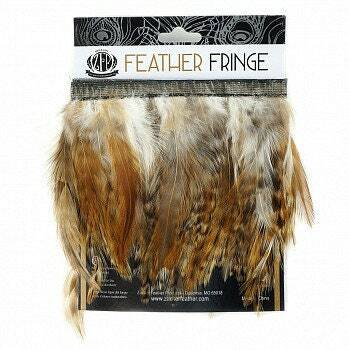 This product is part of our Feather Tapes, Trims, and Fringes - Hackle Feather Fringe category. SIZE: 4-5" (1 yard bolt w/bias) Our products are made with natural materials; therefore each item will have unique differences and variances. Some handmade items or parts have been manufactured by our partners in China. Share the love and tag us on Instagram @thefeatherplace! We are always on the lookout for fun and unique #feather #DIY decor, fashion and craft projects! #FromCostumetoCouture we want to see how you are using feathers!